An office is what you make of it. Some offices are difficult to work in. The chairs distract one from work, the environment is cluttered and it can be impossible to figure out how people are organizing their documents. On the other hand, there are offices that are a pleasure to work in. One can sit down and not be distracted from his work, it's obvious where documents should be stored, and in general, the environment simply works with people instead of against them. The biggest difference in these offices often simply comes down to furniture. Safeco products are designed around this important concept. Safeco offers a wide variety of office equipment which will streamline and enhance any workplace. Of course this brings up the question of which products are essential to an office. It's best to begin by looking at common problem areas. One of the most frequently problematic area in an office is the chairs. At best, an uncomfortable chair will simply be an annoyance. At worst, an uncomfortable chair will actually cause damage to a person's back. This is why it's essential to shop for office chairs which properly support the back. All of Safeco's chairs are of the highest quality, and ensure that an office will be comfortable and productive. The second most important aspect of office life is organization. There are a number of different Safeco products to help organize an office. For offices which work with blueprints and drafting, it's often best to go with storage units specifically designed for these sorts of documents. This will usually mean a choice between blueprint racks and roll files. Each of these products serves a purpose, but the specifics of their functionality are different. A standard blueprint rack is designed to store documents in the same way they would be seen. Basically the blueprints are stored fully unrolled and one can easily open up an individual tray to take them out. The main advantage of these storage units is ease of use. One doesn't have to bother with specially preparing documents for storage. Instead one just puts them in or takes them out. In contrast, rolling storage units are designed to store rolled up documents. Basically, one simply rolls up a document into a tube, then places them in the unit for storage. The biggest advantage of these units is space. The units are able to hold more documents within a much smaller area. Of course the disadvantage is that one needs to roll documents before storing them. There are also variations to the rolled units, such as portability. 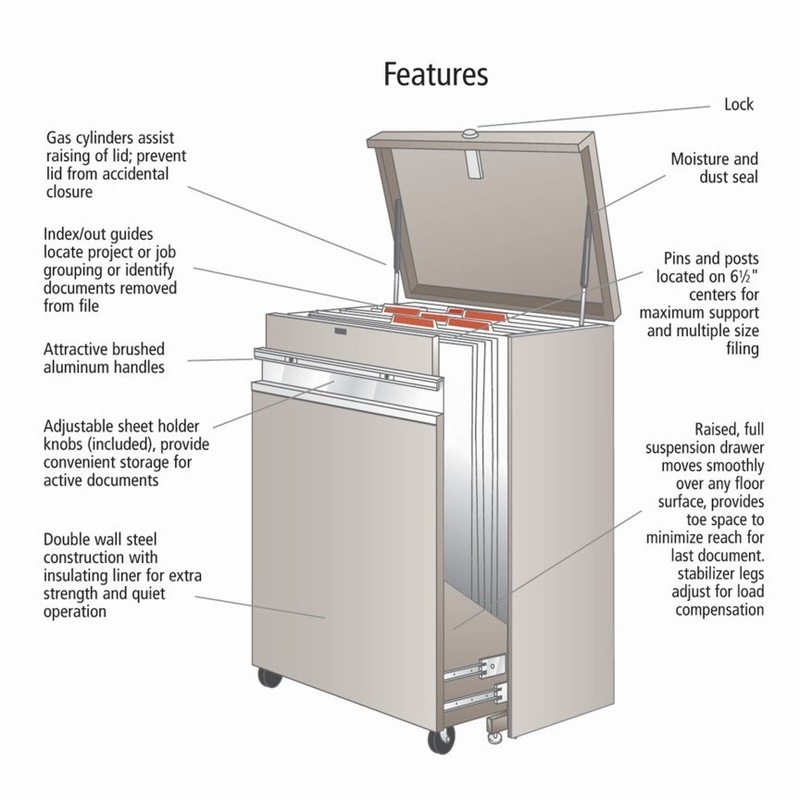 Roll files which can be easily moved around are known as mobile roll files, and they are sold within the Safeco product line as well.